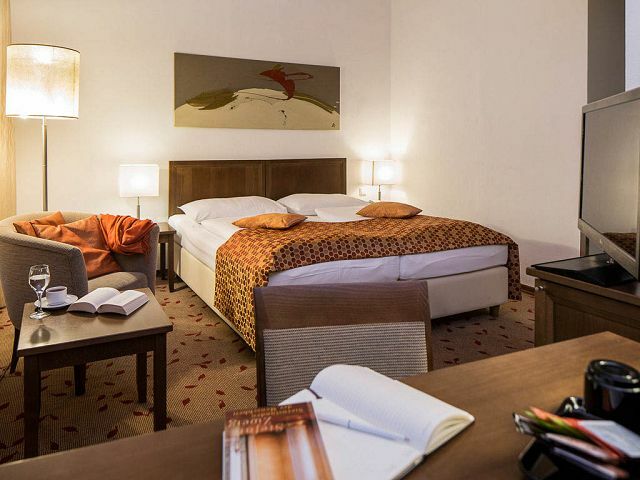 Only a few minutes’ walk from the city center, in close vicinity to the City Hall and the Burgtheater, near the subway station U2 “Rathaus”. 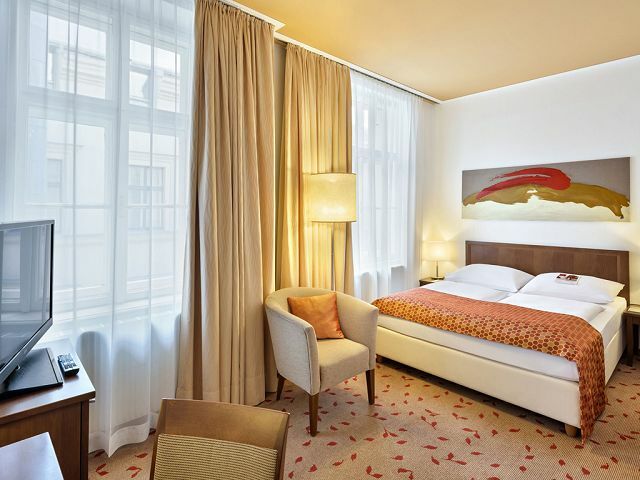 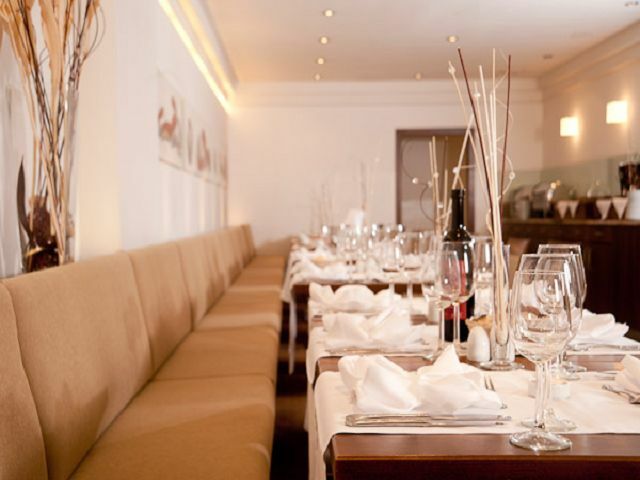 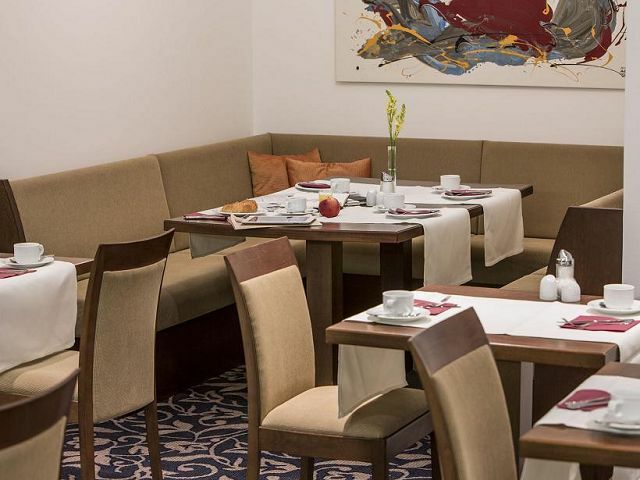 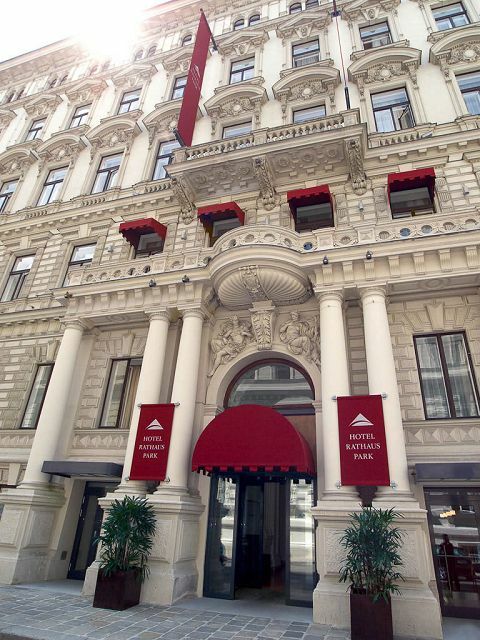 Although very close to the most famous sights and the busy heart of Vienna, the non-smoking Austria Trend Hotel Rathauspark Wien is situated in a calm street. 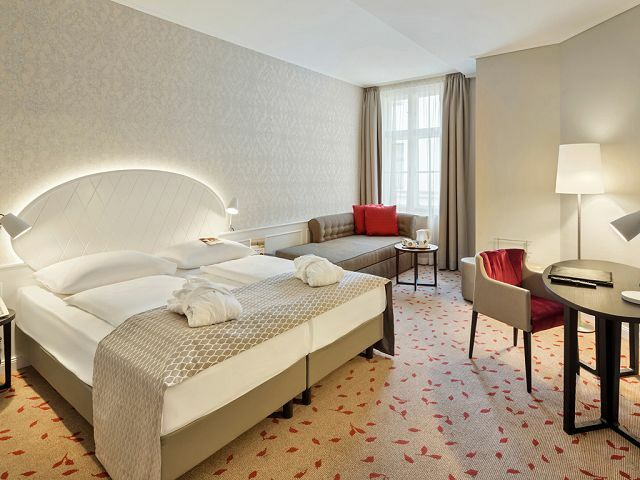 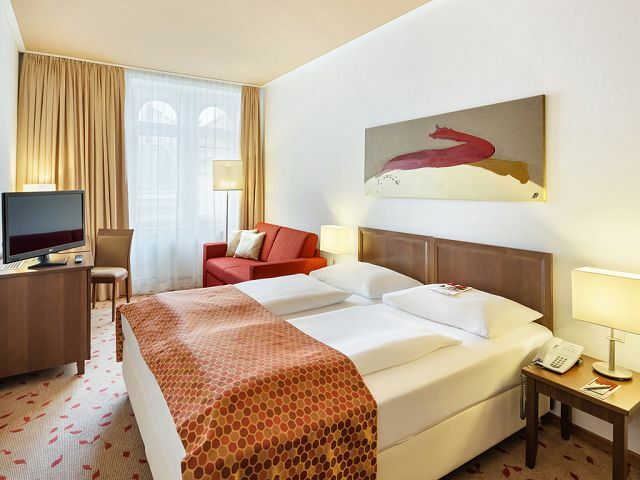 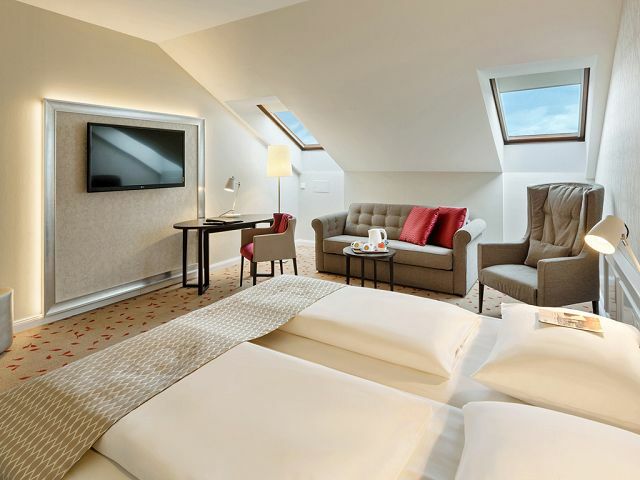 Completely renovated superior 4 star elegant hotel, located near the historic city center, charming & classic ambience, originally built in 1882, former residence of the celebrated Austrian author Stefan Zweig. 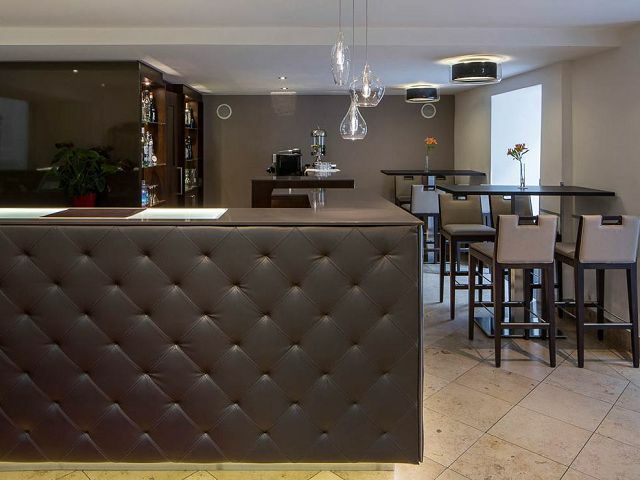 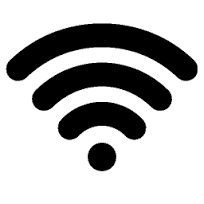 Services include: 24 hour concierge service, currency exchange, airport transfer & taxi service, daily laundry & dry-cleaning service, express check-in & check-out, baby-sitting, car-rental, public Internet access in the lobby, a bar, nearby garage, doctor on call. 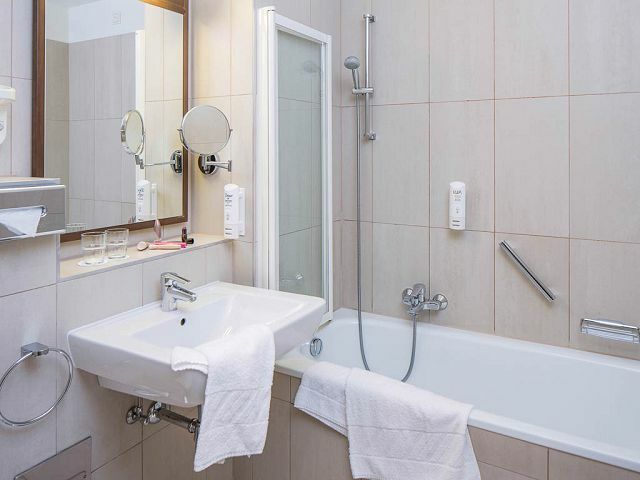 All 117 rooms are comfortably designed and feature modern & elegant furnishing, en-suite bathroom with bath tub or shower & toilet, hairdryer, full size & cosmetic mirror, notebook size safe, IDD telephone & free high-speed internet, well stocked minibar, 39 channel cable TV & radio as well as air condition. 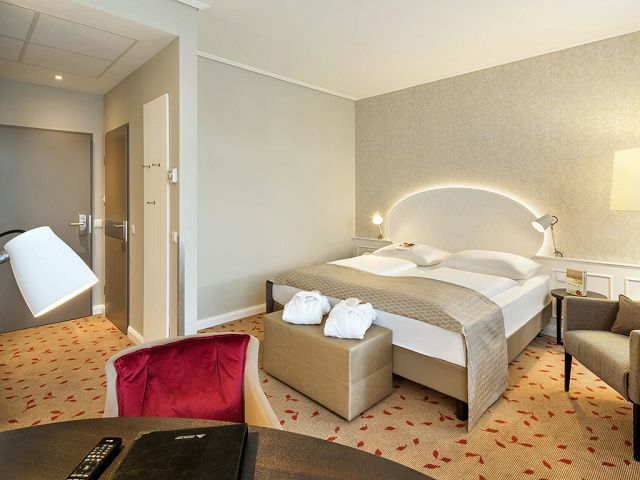 Non-smoking rooms and anti-allergic bed sheets are available.